The Sunday closest to 13 May each year is called Rook Sunday. 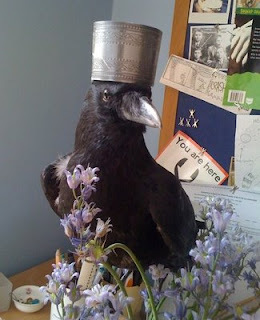 This is not a happy day of celebration for us corvids, as it’s the day people traditionally bake rook pie, gruesomely decorated with the feet of rooks. Crows (corvus corax) and rooks (corvus frugilegus) are related, but people do not eat crow pie, thankfully.